Growing up, I can vividly remember geranium starts lining all our southern windows. Every January, Mom started her geraniums for the coming summer and, without realizing, it I become a plant person. I loved watching the cuttings grow and remember being so amazed by what we started once they were planted in the month of May. I grew up in the garden: planting, weeding, watering and learning from all my mistakes. But I understand that for many, gardening can seem daunting. Your new houseplant dies for some unknown reason or the newly planted tree just doesn’t leaf out. We all make mistakes and believe me, daily I still have my own questions. But the best way to learn is to ask questions and be resilient. A great way to wade into the “gardening waters” is with potted plants. 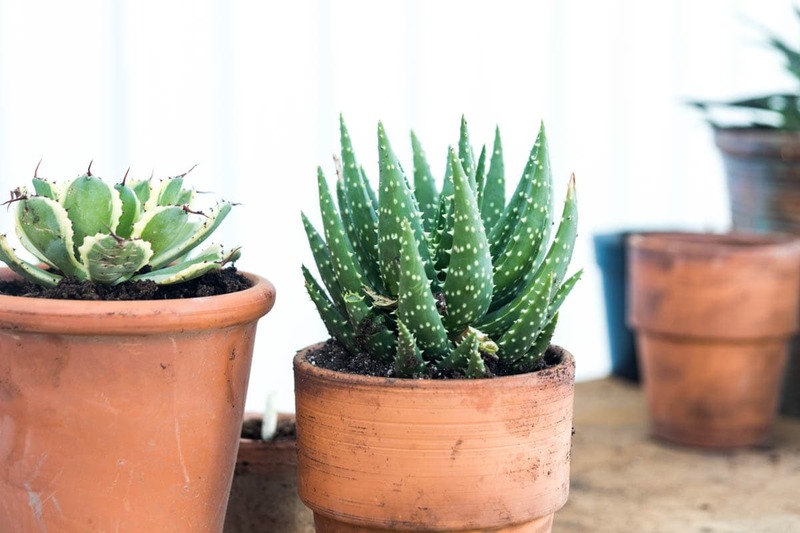 For me, all my houseplants spend the winter indoors – we’ll call it their version of Florida. So when the warm spring weather hits, I’m ready to get them back outside. And it’s the perfect opportunity to freshen them up and split a few of the larger ones. 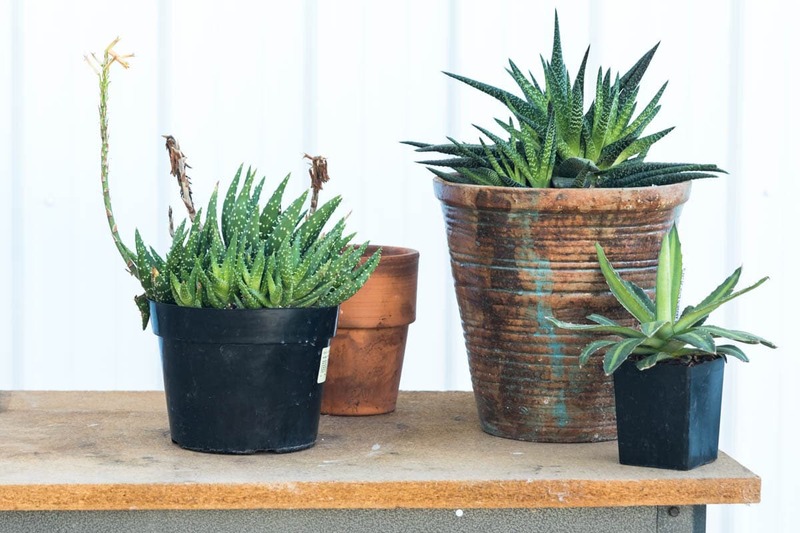 Personally, I love to grow aloe, agave, mangave and succulents. 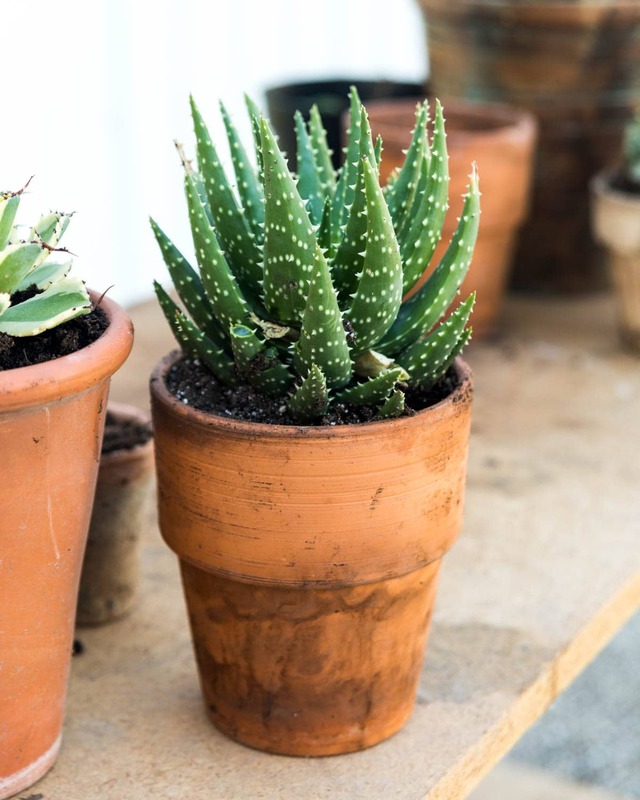 These varieties of plants, when well cared for – I like to call them happy plants – they start numerous plants from the mother plant, which mean extra plants for you! But when contained in a pot, plants eventually outgrow their container. Splitting them apart not only gives you more but also helps the plant have more room to become larger and healthier. 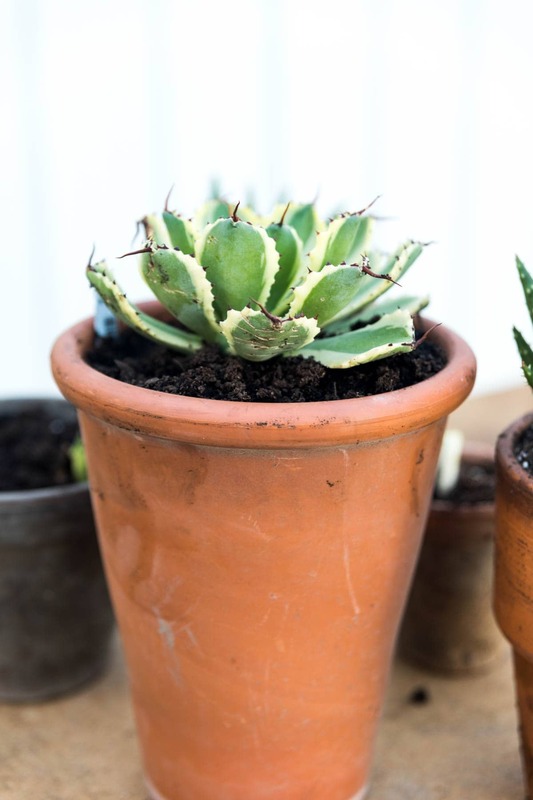 Use a potting soil for the type of plants you’re re-potting. In most cases, a general potting soil will be fine. 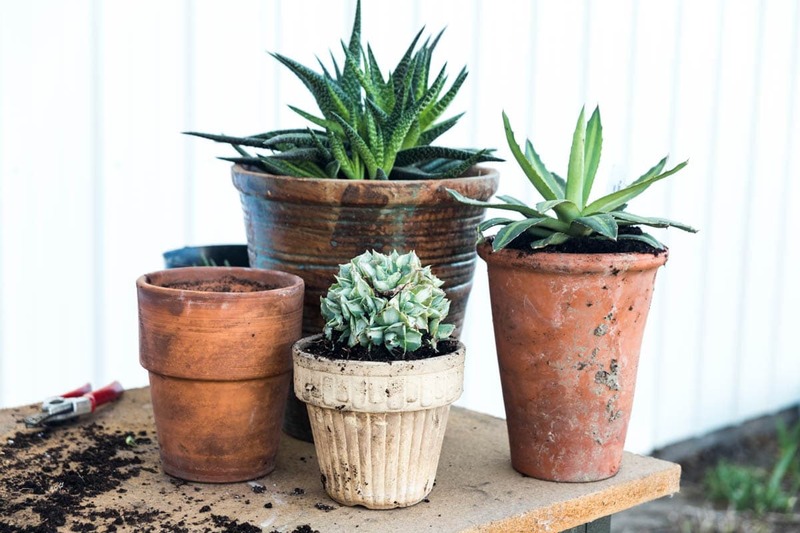 Make sure your pots have good drainage, allowing the roots to dry out. 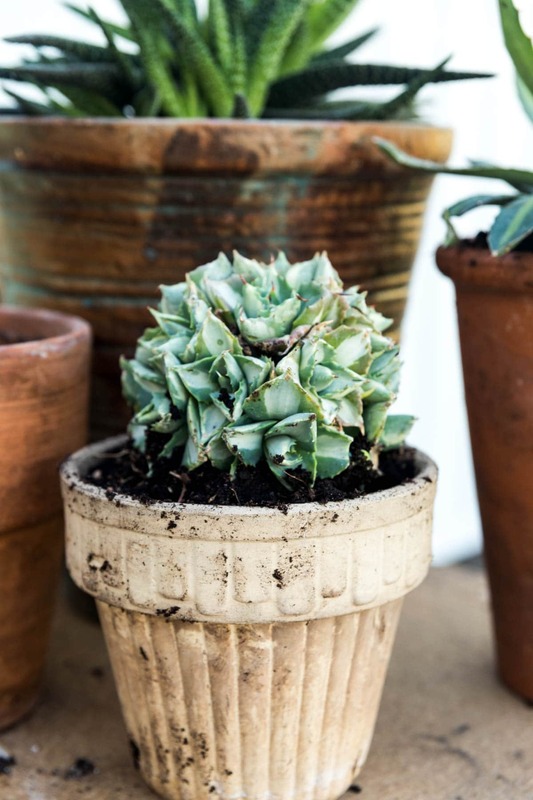 If you are simply re-potting a plant rather than splitting it apart, choose a pot one or two sizes larger than the current pot. 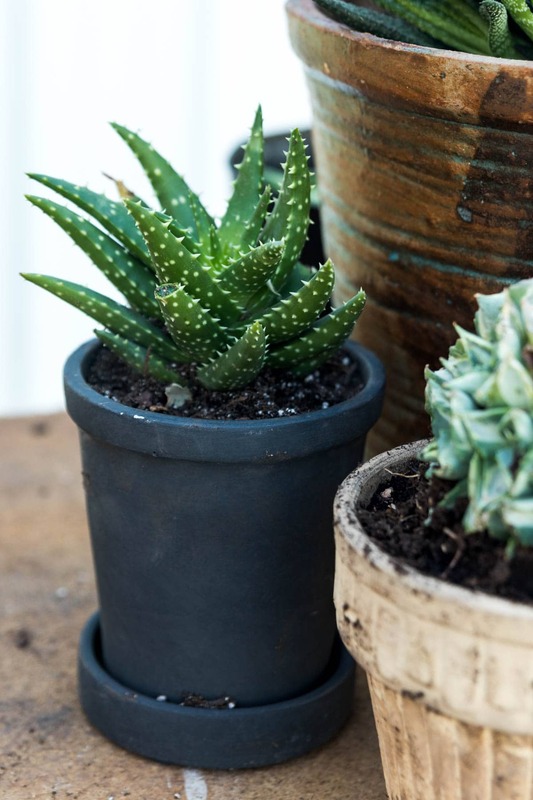 If you’re splitting a plant, choose a pot slightly larger than the individual plants. Fill the pot with soil, spread out the roots of the plant and place more soil over the roots. Press down the soil to make sure there are no large air pockets. Water and watch the plant thrive! *The above post contains Amazon affiliate links.